Since the dawn of time, people have needed to preserve their food. In the past, this process required a significant investment of time and energy, but it was much preferred to starving to death during the winter. Early methods of food preservation included drying, smoking, fermenting, and freezing the food. Later methods involved curing with salt or using acid to pickle the food. None of these methods were ideal, and the search for a quicker and more reliable method continued. Canning is the act of preserving cooked food by sealing it in jars or cans. The specific methods our ancestors used to can food are unknown, but it is a practice that has continued to be used for centuries. Fortunately, the invention of the modern canner has made the canning process much simpler and less time-consuming. In fact, you can also buy an electric pressure canner now just don't tell my grandmother :). *Why only two canners? 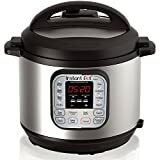 We feel that these are the best in class and highly recommend either pressure cooker model over anything else on the market. To learn more about these two canners, simply click on the links above. You will be taken to our comprehensive canner reviews that will lay out the pros and cons of each model. Reading through these reviews will give you a much better idea of what kind of pressure canner you can get for the money. It will also give you a better idea about the features you might want that will help the canning process go much smoother. In simple terms, a pressure canner can be defined as a device that is used for home preservation of food in jars. The process involves sealing food in jars, and the jars are then placed inside of the canner. Most canners are oversized, pressurized pots that raise the temperature of the food inside of the jars well above the boiling point for a specific period of time. Home pressure canning is generally conducted at 240 degrees Fahrenheit. The Removal of Oxygen. The canner removes any oxygen from inside of a can that could potentially spoil the food. Heat Sterilization. Any bacteria that could affect the safety or integrity of the food is killed. Sealing the Jar. After the air is expelled from the jar, it creates a vacuum seal within the jar so that nothing can re-enter the newly created sterile environment inside of the jar. Modern pressure canners are lightweight kettles with thin walls and most feature turn-on lids that are outfitted with gaskets. Most modern canners have removable racks, an automatic vent and/or cover lock, a vent pipe, and a safety fuse. Pressure canners also feature a dial gauge, which is used to indicate pressure, or a weighted gauge that is used to indicate and regulate pressure. The average canner is deep enough to accommodate a single layer of quart jars or two layers of pint-sized jars. According to the USDA, your canner should be large enough to hold a minimum of 4-quart jars to be classified as a canner. The USDA also urgently recommends that you only purchase a canner that has been marked with the Underwriter’s Laboratory seal of approval to ensure the pressure canner’s safety. Four to eight quarts of water are added to the pressure canner. It is placed on the stove, and the heat setting is turned up to “high.” You want to add enough water to ensure that the canner won’t run out while it is boiling, but not enough to cover the canning jars. The rims of the mason jars are wiped clean. The lids are attached, and then the jars are placed in the water in the pressure canner. The pressure canner’s lid is secured, and it is “brought up to pressure,” which is lingo for saying that the water in the canner is brought to a rolling boil, and pressure within the pot begins to accumulate until it reaches a specific temperature. Your canner will tell you when it has reached this temperature point via its dial gauge. The food is allowed to process for a predetermined period of time (which has to be adjusted depending on your altitude). The heat is turned off, and the pressure canner is allowed plenty of time to cool off before you remove the lid and the canning jars. The canning jars are allowed to cool for 24 to 36 hours before being stored in a pantry or cellar. 1. Size. The size of the canner you should buy will depend primarily on how many people you will be planning for. Most experts recommend that you buy a canner that is able to both pint and quart sized jars because you do not want to limit yourself to pint-size jars only. Pressure canner sizers are listed by quarts. For example, a canner with a max capacity of 21.5 quarts will be able to hold 7-quart jars or 19-pint jars. Make sure to look at how many jars the canner can hold to get the most accurate idea of size. 2. The Type of Stovetop You Have. If you have a stovetop made of glass, then you are limited to using canners that specifically state they are safe to use on glass top stoves. You will not able to use heavier canners. Likewise, if you have an electric range stove, it will work well for canning; however, if you have a gas range, you must take care to ensure that you do not turn the heat up too high. 3. Price. An item’s price is always important. Wait for sales. Depending on how much food you can, your canner can pay for itself in as little as a year. If you are a beginner canner and do not want to spend a lot of money, Presto pressure canners offer an excellent economical choice; however, if you only want to buy one canner during your lifetime, All American canners are the ones you want to consider. Manufactured in the United States, they are considered the premiere canner to own. 4. Maintenance. If you purchase a canner with a dial gauge, you will have to take the gauge over to your local county extension office once a year to have it checked. They will make sure that the dial is accurately displaying the correct PSI. On the other hand, a weighted gauge pressure canner does not require this. A weighted gauge is a unique control that hisses, jiggles, and rocks back and forth. It all comes down to how much time you’re willing to invest in maintaining your canner. Pressure Cooker vs. Pressure Canner: What’s the Difference? Pressure canners are used to preserve food placed inside of jars, and they are required by law to be able to hold a minimum of 4-quart sized jars. As aforementioned, all canners feature a removable rack, a vent port, a vent cover lock, and a safety fuse. By comparison, pressure cookers or pressure saucepans are small, and they are not designed for processing food stuff in jars. Pressure cookers heat and cool faster than pressure canners do. Bottom line: pressure cookers are made for cooking – not canning. It is a common misconception that the two can be used interchangeably, but the USDA and The National Center for Home Food Preservation strongly argue against doing so. Because pressure cookers heat up and cool down more quickly than pressure canners, the canned foods inside the cooker may be processed long enough to kill harmful microorganisms. Due to the thickness of the foods being canned and the different sizes of pressure cookers, it is simply impossible to safely adjust the times. Here’s Why Pressure Canners Are Awesome! Concern for the amount of BPA found in commercially canned foods is on the rise, and it has become an incentive for many concerned parents to begin making their own. Canners provide you with the opportunity to make your own healthy, BPA and preservative free foods. When you can get your own food, you produce a minimal environmental impact. For example, it reduces the amount of waste associated with pre-packaged foods. Likewise, your canning jars are reusable. Plus, the jam you just made is only traveling from your kitchen counter to your pantry instead of traveling thousands of miles across the country on a semi-truck belching smoke. As aforementioned, pressure canners ultimately pay for themselves within a short amount of time, but they also assist you in saving money beyond even that. When you buy fresh produce for canning while it is in season, it is plentiful and cheap. This offers an economical method of stocking your pantry, and you would be surprised to see how quickly you can reproduce some of those decadent jams you’ve been drooling over for mere pocket change. Waste not, want not. Are you simply overrun with tomatoes and zucchini? Do your neighbors pretend to hide when you come over with an armload of cucumbers? You can avoid wasting excess harvest by canning it. If you’ve got an overly abundant garden, now is the time to embrace your pressure canner. Finally, there’s the personal satisfaction aspect to take into account. If you thought knitters were passionate about their hobby, they have nothing on canners. Canning is more than just practical. It offers a powerful connection to the past – to heritage, culture, and family. We sincerely hope that this guide will assist you in finding the perfect pressure canner for your family’s needs. It is not meant to be an exhaustive guide, but rather a general aid to assist you in making an informed buying decision. We have avoided providing specific canner reviews in this discussion because we believe that it is important to understand what to look for in a canner so that you can make your own decision. Doing so will help you find the perfect one for your kitchen. We do encourage you to read the individual pressure canner reviews we have on our site to make sure you are buying a quality product, but don’t rely on ratings alone when making your decision. Happy canning!